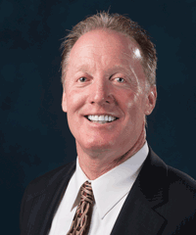 The Nationwide Insurance: Brian J Sheehan in Philadelphia, PA provides the following products. To learn more about each insurance product, click on the links below. Understanding your insurance coverage should never involve having to learn a new language. That's why Brian J Sheehan and Brian J Sheehan are proud to be working with Nationwide to provide robust, easily customizable policies explained in language that is easy to follow. We understand that our members are not insurance experts, and that's why they come to us. We work hard to make sure every new policyholder understands their terms, exclusions, and limits so they get the coverage they need to drive with peace of mind in Philadelphia. Get the coverage you need in language that makes it easy to understand. Call (215) 742-5058 to get started with quotes or questions, or to schedule an in-person appointment for your consultation. In-person meetings are held in our office at 6522 Rising Sun Ave.
Philadelphia homeowners are experts when it comes to knowing everything there is to know about their house and property, but not all homeowners may be familiar with everything contained in their home insurance policies. Some policies are designed with a one-size-fits-all philosophy and may not provide adequate protection for special features like swimming pools, garages, carports, tree houses, and children's play equipment. Your home insurance policy should not be a mystery. Let the team at Brian J Sheehan help you determine whether your policy is really providing the kind of protection your home requires. For years, Brian J Sheehan has helped homeowners discover the right coverage for their needs. We look forward to helping you access Nationwide home insurance and much more. Contact Brian J Sheehan today by calling (215) 742-5058, or drop by our office on 6522 Rising Sun Ave. Our experienced agents are ready to help you improve your existing coverage or discover new policy options. We at Brian J Sheehan proudly work with residents in the Philadelphia area. We want to make sure you have the type and amount of coverage you need so that you and your family are prepared for any eventuality. We will explain in understandable language term versus permanent insurance and we will discuss the types of life insurance that can best fit your needs. As you enjoy the now, don’t forget to protect your family’s future. Life insurance gives you the peace of mind that comes with preparing for life’s uncertainties. Call (215) 742-5058 and ask to speak to Brian J Sheehan. We can assess your coverage needs and answer all your questions. If you are in the neighborhood, stop by any time. We are located at 6522 Rising Sun Ave,Philadelphia,PA,19111. We look forward to seeing you. Simply put, Nationwide keeps your best interests in mind. If you are interested in our business products, our trained agent, Brian J Sheehan, in Philadelphia can answer your questions. Brian J Sheehan is located at 6522 Rising Sun Ave. Don't put off securing your business' future any longer. Contact us today at (215) 742-5058. The Brian J Sheehan also offers products in PA. Please call for information on products in those states. Our agency team has been serving the Philadelphia area with auto, home and life insurance coverage since 1984. As a full-service insurance agency, it is our responsibility to find our members the right insurance coverage protection they need.